Received a robocall lately? Odds are you did. 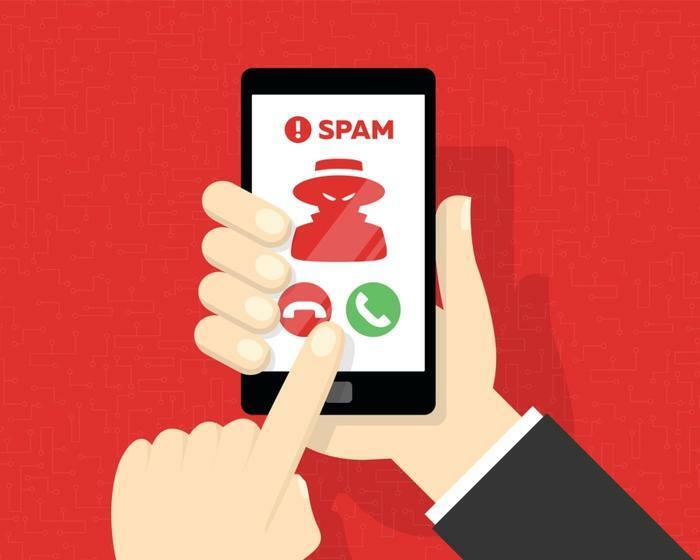 Americans endured a new high water mark of 5.23 billion robocalls in March, according to data from the free robocall blocking app YouMail. Scammers were behind almost half of those calls. Undaunted by hefty fines other health insurance scammers have faced, that con is still alive and well, accounting for more than 560 million robocalls -- the most of all robo scams. Rounding out the Top 5 robocall scam list are easy money (pay to make money/get a job), interest rates (identity theft), student loans (identity theft/scam payments), and search listings (fake search listing fees). One thing that caught our attention in YouMail’s data was the overwhelming number of robocalls placed to phones in the Southern U.S.
Atlanta reigns supreme as the city with the most robocalls; Baton Rouge as the city and Louisiana as the state with the most robocalls per person; and Texas as the state with the most robocalls overall. ConsumerAffairs asked Quilici what the story was behind that metric. People in the South tend to answer the phone more (more polite? ), which makes their numbers targets for more robocalls. Some of these places in the South are economically disadvantaged, which makes residents more likely to fall for scams and get more payment reminders. The South may have different demographics in general (age, race, etc..) than the rest of the country, and that might affect phone behavior. As ConsumerAffairs reported earlier, the FCC and Congress have officially joined forces to try and hogtie robocalls once and for all via the SHAKEN/STIR rule that called on industry stakeholders to implement policies that would create caller ID authentications. And, to its credit, the government got buy-in quickly from Verizon and AT&T. But, the effort hasn’t gotten much lift so far because “it remains so simple and inexpensive to blast massive volumes of robocalls nationwide within a very short period of time,” according to Quilici. The Federal Trade Commission (FTC) recently raised a new alert for small businesses because, in the agency’s eyes, small businesses are a consumer, too. While the wool scammers pull over the eyes of small business owners is different -- with business services and charitable donations often being targeted -- the FTC wants business owners to know that they’re not being left out in the cold in this matter. “At the end of your workday, the FTC remains committed to challenging illegal practices that affect you, your family, and your community. One example is Operation Donate with Honor, an FTC, state, and local enforcement sweep targeting outfits that falsely claimed to help veterans,” wrote the FTC’s Lesley Fair. In 2018, the FTC filed a lawsuit against a company that claimed it was representing Google with a two-pronged approach. One was that the businesses would be listed as “permanently closed” in Google search results unless they paid a fee. The other half of the scam was an upsell with the false promise of first-place or first-page placement in search results.